Good news future vloggers and cinematographers! You don’t need a camcorder or digital camera to take excellent, professional-grade video. You just need an iPhone and the right accessories. The latest iPhone generations come equipped with excellent cameras, and with a few additions you can use them to take high-res video that you’ll be proud to post on Instagram, YouTube, or anywhere else. 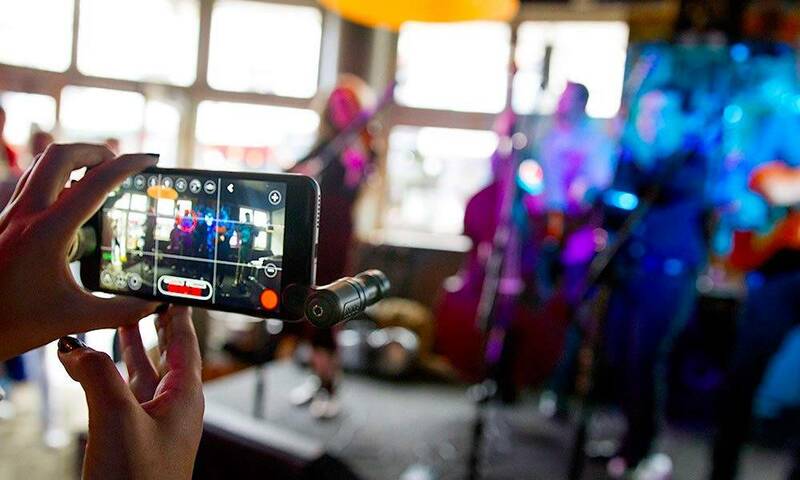 To help out, we’re showcasing the best accessories you need to transform your iPhone into an elite recording machine. Put together a kit with these products and you’ll be ready to record anything! The iPhone’s internal lens is pretty good, but it’s still limited in what viewing angles and clarity it can offer. 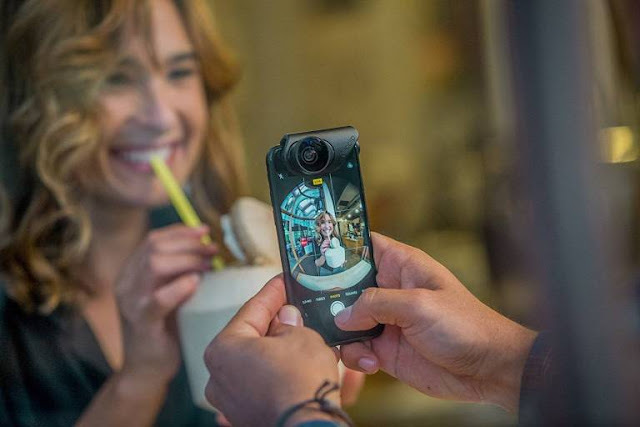 You can take wider, more interesting shots by buying an external lens that you can clip onto a compatible iPhone model for greatly enhanced video. There are a lot of options to pick from, too! Olloclip offers a lens set that includes fisheye, super-wide and macro lens options in a neat little starter pack. Xenvo has a speedy clip-on macro and a wide-angle lens that’s fast and versatile. You can even get iPhone cases with built-in lenses! We’re not saying you need all of these, but picking out at least one reliable lens that allows you to experiment with different viewpoints can be invaluable. 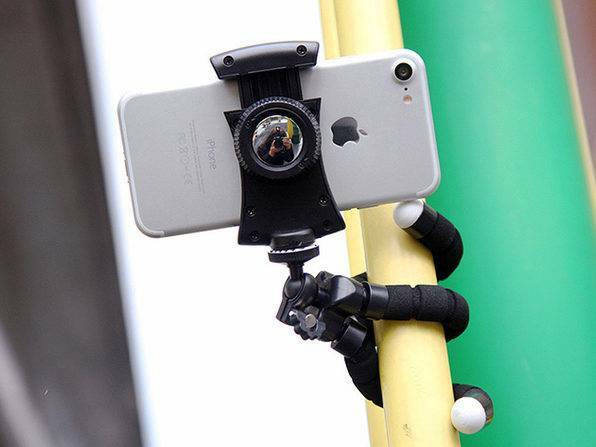 Yes, they make tripods and mounts for the iPhone, and they are particularly effective when taking longer, professional videos that require some setup. Image stabilization is always a notable issue when capturing video with a phone, and while software can help, nothing is better than a good mount accessory. The ARMOR-X tripod, for example, includes excellent bendable legs that can grab onto fences, branches, and bars so you can get whatever shot you need without worrying about positioning. If you do a lot of handheld iPhone work, such as walk-and-talk scenes, then you may prefer a LanParte gimbal for active stabilization when you are on the move. Sure, iPhones come with internal mics, but they aren’t really designed for video recording, an especially professional video where you may be conducting interviews, or when you may need to filter out background noise as much as possible. For that, you need something a bit more specialized – an attachable mic. 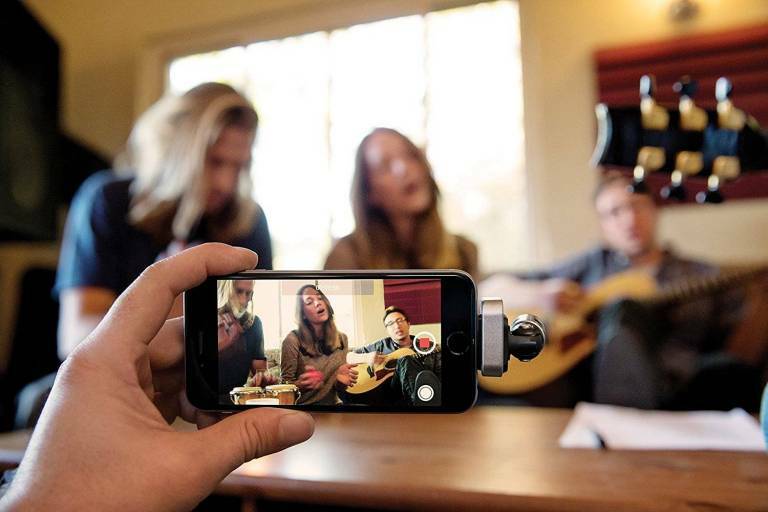 There are a lot of iPhone mics for different purposes, so it’s a good idea to think about the type of video you take and the sort of sound you need. A shotgun/direction microphone is an excellent option if you snap a lot of interview-style videos and need to cut down on distracting noise. Shure also has a great, more general use condenser microphone for capturing specific sounds. Here is another option, a more affordable condenser microphone with a Lightning connector from Lolly. iMovie is free and an excellent native option to edit your videos for publication. You can edit, enhance, and provide musical themes for your videos in record time, not to mention speedy sharing with friends. But editing is one of the most important parts of your video work, so we understand if you want to explore other editing software that may be more in line with your video style, or allow more control over editing minutiae. In that case, we suggest you try the excellent Videoshop, a video editor designed for speedy phone work when you want complete control of voiceovers, text, slow-motion, filters, and video merging… but you also want to publish the video online ASAP. 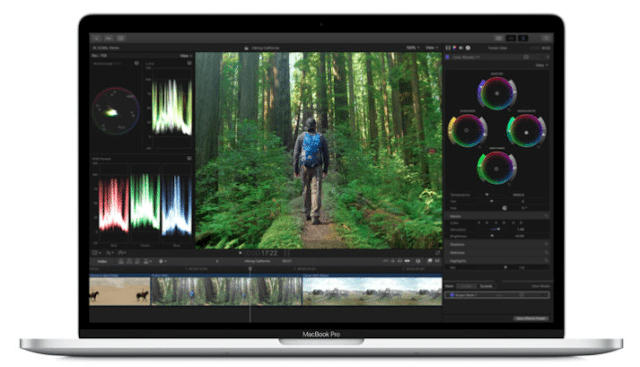 If you are editing the more complex video into a true masterpiece, it’s probably better to move onto a Mac and use something professional like Final Cut Pro X to really get in and make sure that every frame is just right. Not all of your video is going to be in bright rooms and sunny afternoons. Eventually, you’re going to want to take some footage in the evening, or at a park or concert where the lighting isn’t going to be great. That’s why it’s handy to bring a source of light along with you for high-quality filming. GVB offers a basic LED attachment that will work in many situations. 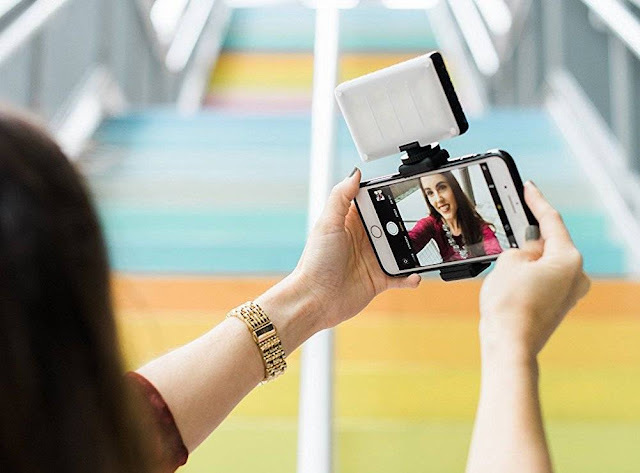 If you like taking a lot of selfie footage or if you do anything on your vlog with cosmetics, you may want the simple-but-perfect Ocathnon Ring Light attachment instead.